screen, which automatically re-size to fit available spaces with a simple click or drag. A triple 16:9 Full HD display setup may provide more screen information than a single monitor, but the desk space needed is inconvenient and inefficient. 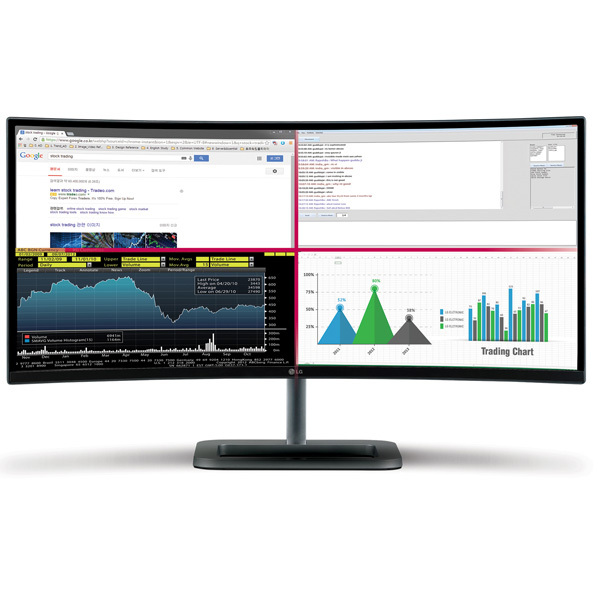 LG’s dual 21:9 UltraWide Curved display setup takes up less desk space while providing a significantly greater amount of display real estate. 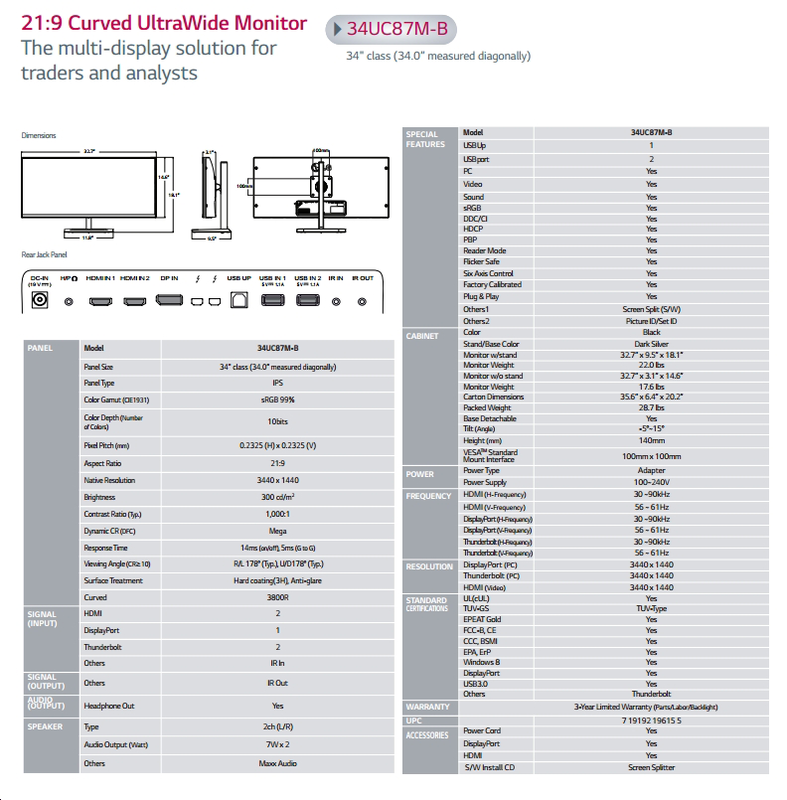 When comparing LG’s 34UC87M dual monitor setup to that of a conventional 16:9 Full HD triple monitor configuration, the width of the 34UC87M is 89 of a conventional triple monitor setup while delivering an impressive 159 of on-screen working space.